Most people who come here are looking for the winter landscape, says Conny, carefully blowing on the hot coffee in his cup. Conny is a wilderness photographer. 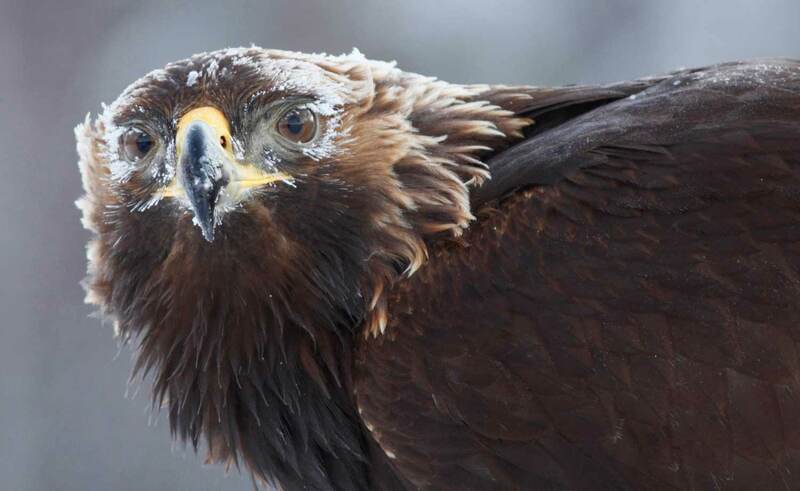 Stationed in Kalvträsk and specialised in photographing the golden eagle. He has made a name for himself with his often extreme close-ups of the mighty birds. – As long as you are careful, there is almost no limit to how close you can get, he says and tells the story of how he has photographed eagles, with a handheld camera, as close as barely half a metre – then using a wide-angle lens. – We normally take pictures at a distance of about six, seven metres – using a tele lens – if we’re doing portrait photography, but it is just as important to offer opportunities to photograph the animals in a genuine winter environment. Nature photography is not simple. It requires a lot of preparation and knowledge about animals and the environment. – Today, I have three eagle hides. Conny tells us about his largest one, at the foot of the Vitbergen nature reserve. 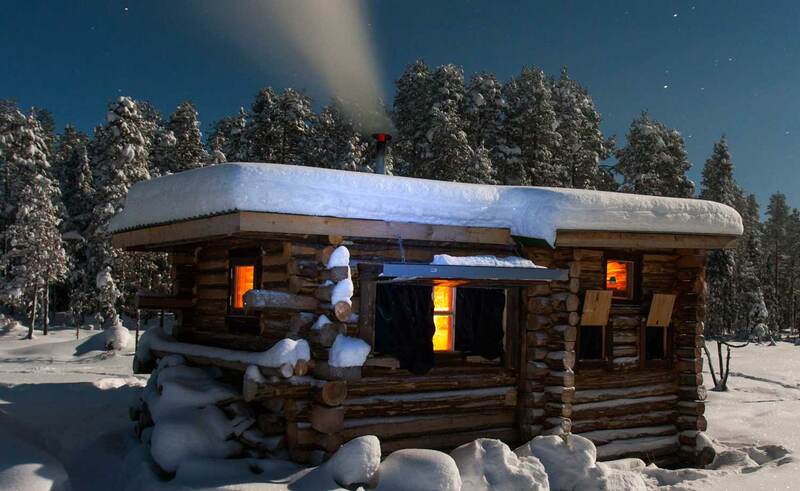 – A log building with a toilet, a wooden stove and room for four photographers. It never really gets cold, no matter how harsh the winter cold may be. 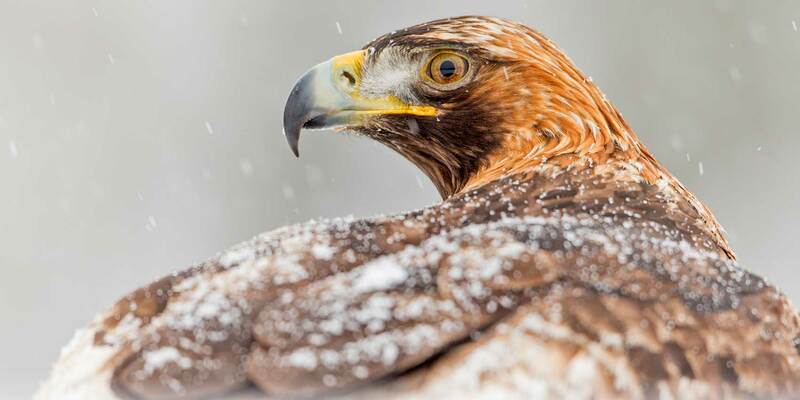 He picks up his phone and shows a portrait of a golden eagle with white frost covering its feathers. 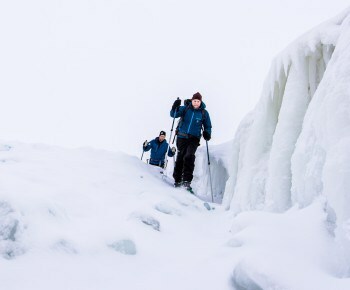 – A picture like that can only be taken at 35 degrees below zero. Conny tells us that one of his hides is completely new. 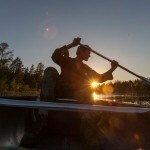 – Surrounded by 200 year old forest, on a sandy ridge between a lake and a marsh. It is roadless country. You need a boat or a snowmobile to get there. The photographers who visit Conny are usually driven amateur photographers, often just as skilled, if not more skilled than many professional photographers. – Semi-professionals, I guess you could say. They are incredibly dedicated and they know to appreciate the moments when everything falls into place. 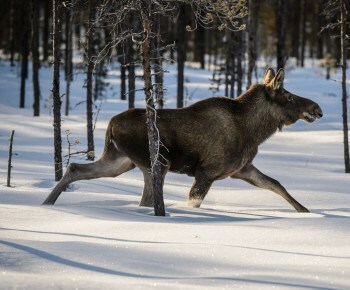 In a way, Kalvträsk, just like Spitsbergen, the Great Barrier Reef and Yellowstone, has become famous amongst photographers all over the world for its unique natural experiences. It is the combination of extreme close-ups and fantastic natural environments, coupled with Conny’s immense skills, that make travelling photographers come to the small village. Thanks to the fact that we have very little surrounding light where we operate, you will get fantastic opportunities to take pictures of the Northern Lights, the starry skies, all of the Milky Way actually. – Almost everyone is struck by just how silent and how dark the forests up here can become. That darkness is not bad. 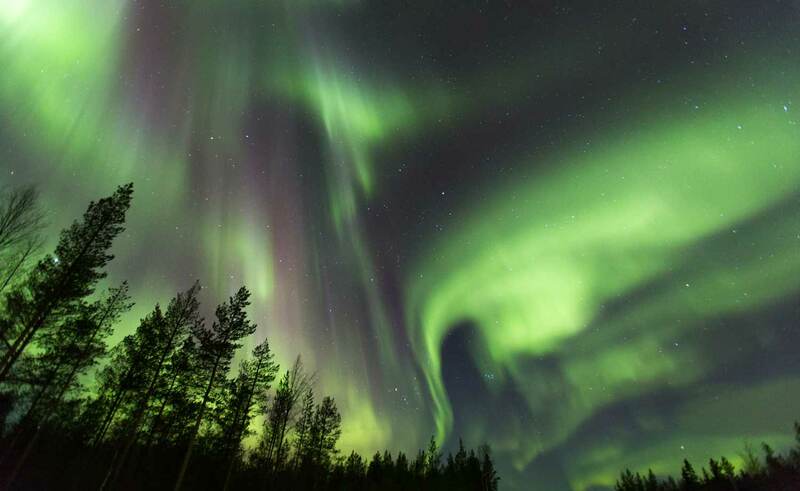 In later years, both the Northern Lights and night photography have become increasingly sought-after experiences. – Thanks to the fact that we have very little surrounding light where we operate, you will get fantastic opportunities to take pictures of the Northern Lights, the starry skies, all of the Milky Way actually. Golden eagles are very territorial and will not gladly let other eagles on their turf. – However, when the winter gets cold and food is more difficult to find, they often go on longer searches. Many years ago, Conny photographed a young golden eagle from one of his hides. It was ringed and he managed to get a picture of the ring, telling him that the bird was native to Finland. – It was roughed up by local territorial eagles and as it hopped over the marsh, badly battered, I thought to myself that I had probably seen it for the last time. Then, one morning, eight years later, I found an eagle sitting on the very same branch where the young golden eagle once sat. 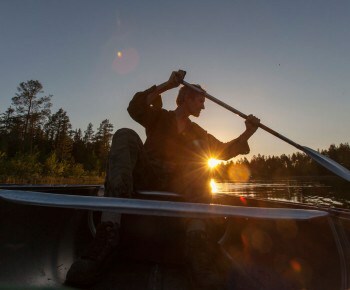 Conny Lundström is an award-winning wilderness photographer that operates in the deep forests around Kalvträsk in Skellefteå Swedish Lapland. He offers wildlife photography not only focusing on golden eagle but also a wide variety of birds, mammals and science views. To learn more, see connylundstrom.com. You know, golden eagles have their favourite branches. This time there were two eagles in the tree. It can’t be, I thought, but it turned out to be the same bird who had now met a mate and returned. – Wildlife encounters are difficult to arrange, I think to myself, smiling. Conny puts his empty coffee cup down on the table. He has now been in civilisation for almost too long.